Not unlike other Danish designers, the balance she maintains between civilisation and nature is vital to her creative process. Much in the same way that her lifestyle and relationships with family members contribute to fuelling her inspiration. Now in her 40s, the elegant Dane readily admits that the ceremony for the Crown Prince Couple’s Culture Award she won in 2014, presented to her by the Prince and Princess of Denmark themselves, was certainly one of the highpoints of her career. 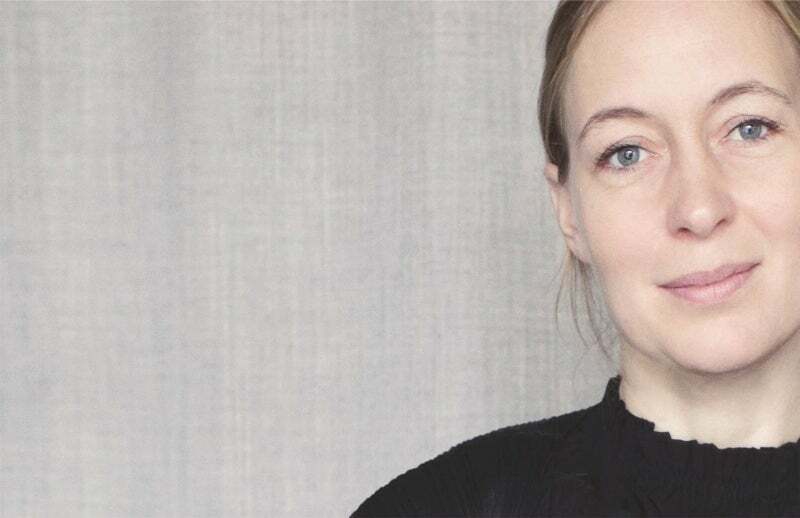 A career that spans 20 years as she patiently honed her skills to emerge today as one of the major figures of Scandinavian design. Her first project, entitled The Ladder (a ladder that doubles as a chair), was quickly picked up for production by Nils Holger Moormann, after the German designer spotted the prototype in an interior design magazine. The other project that jump-started her career was the Caravaggio lamp (2005, with Lightyears). Not only a bestseller but also a longseller. Heeding the call to experiment, Cecilie Manz has worked on such diverse projects as sofa throws, a minibar for a Wallpaper* show, a series of wooden armchairs, a collection of dining tables and chairs for Fritz Hansen, glass vases, and several models of portable speakers for B&O Play – the more affordable brand recently launched by fellow Danes Bang & Olufsen who she has been collaborating with since 2014. This autumn, Cecilie often flew out to Japan, firstly to collaborate with a Japanese company called Actus on a project named Moku and also to be the co-curator of the exhibition ‘Everyday Life – Signs Of Awareness’ at the 21st Century Museum of Contemporary Art Kanazawa on the occasion of the 150th anniversary of the relationship between Japan and Danemark. More than a style, the Scandinavian approach she defends, which is too often distorted in her opinion, ‘should reflect the actual lifestyle of these countries’. In her work, this is often achieved through subtle play on shades of grey associated with brighter colours. Colour is a fundamental element in her creative process and she always develops a specific palette in the earliest stages of each project, because it is a way to assert the product’s identity. Her Scandinavian heritage is also self-evident in her effort to strip her creations of any superfluous element, focusing on the essential, oblivious to the fact that her ceaseless pursuit of uncluttered lines presents a new challenge every time. This autumn, Cecilie Manz will be undertaking new projects, as well as coming back to old ones. She is constantly experimenting in her studio and will present the latest results of her work at MAISON&OBJET in January 2018. The exhibition will feature existing products and new designs, displayed in a warm and homey atmosphere – the underlying theme that defines every single one of her creations.